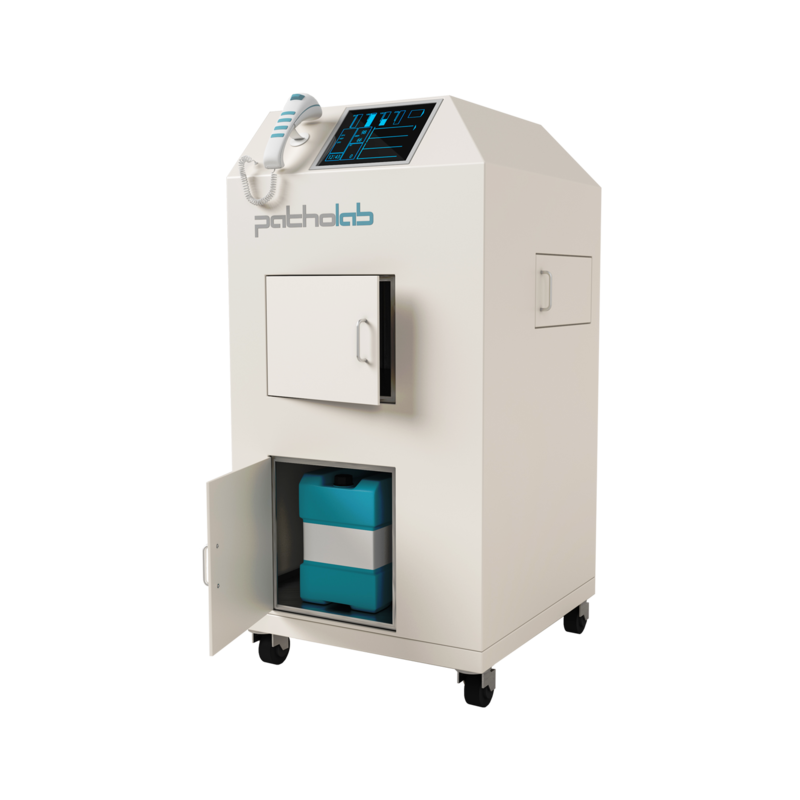 After the classification of formalin as a category 1B carcinogenic, Patholab has developed Biopreserve System, a series of instruments to protect health workers of surgery block and anatomic pathology lab from direct exposure to formalin. Four flexible models of instruments considering health workers needs. 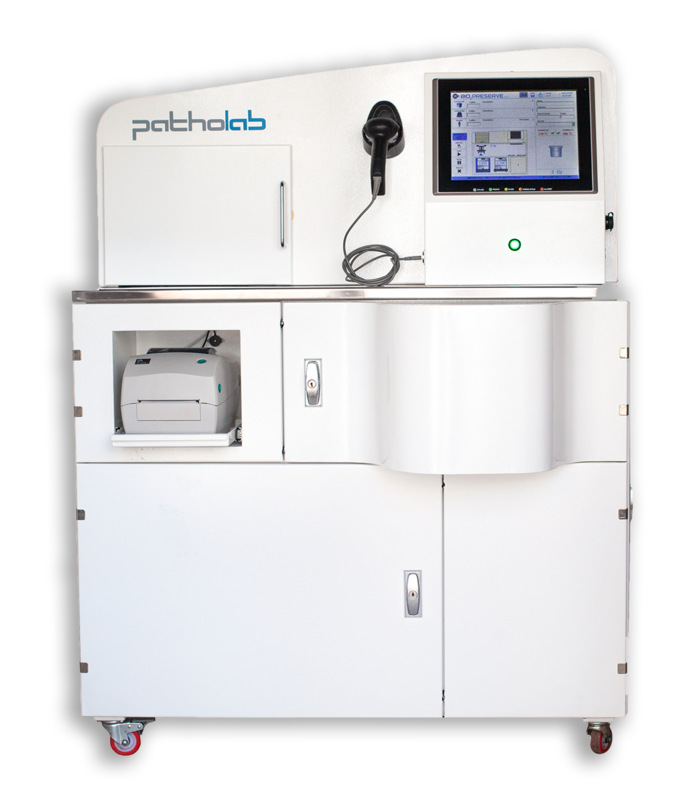 Biopreserve is an automatic system to package tissue specimen in container with formalin addition. 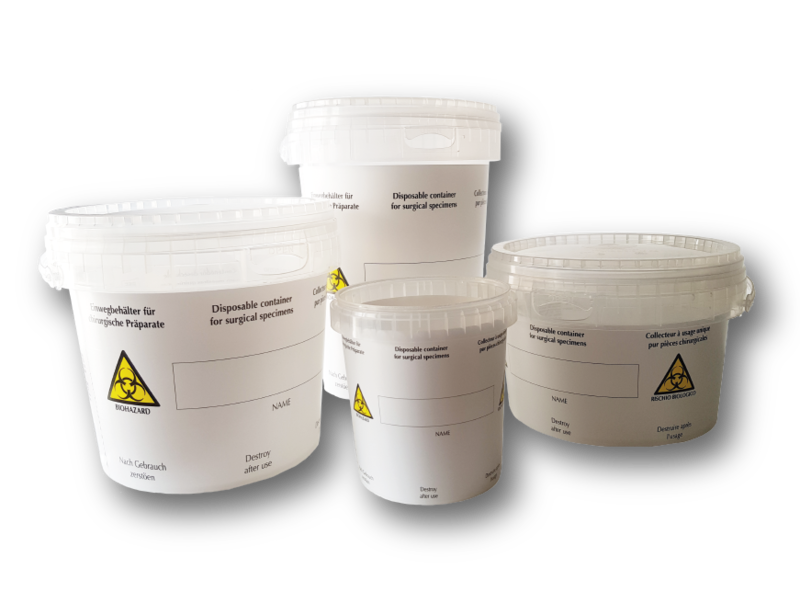 Formalin dispensing and container sealing are carried out automatically by a robot inside the airtight ventilated compartment, preventing from hazardous carcinogenic formalin fumes in accordance with the EU Framework on Health and Safety at Work. Operator sets a program and places container with histological specimen inside the loading chamber. 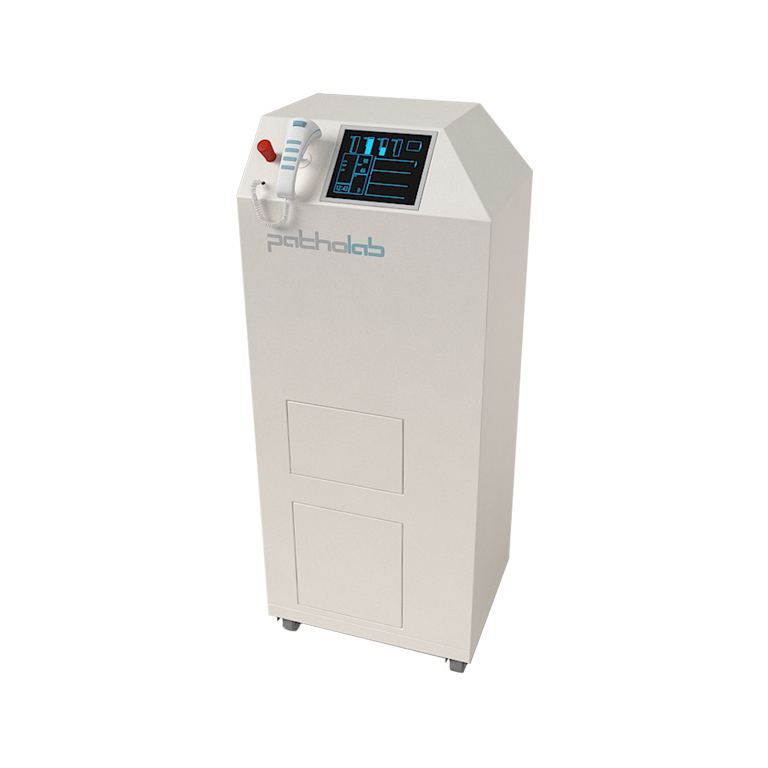 System automatically weighs the tissue specimen and doses the amount of formalin based on the weight of the specimen and on adjustable ratio weight/volume. At the end of the operation container is returned back, sealed with a pretreated aluminium foil lid. 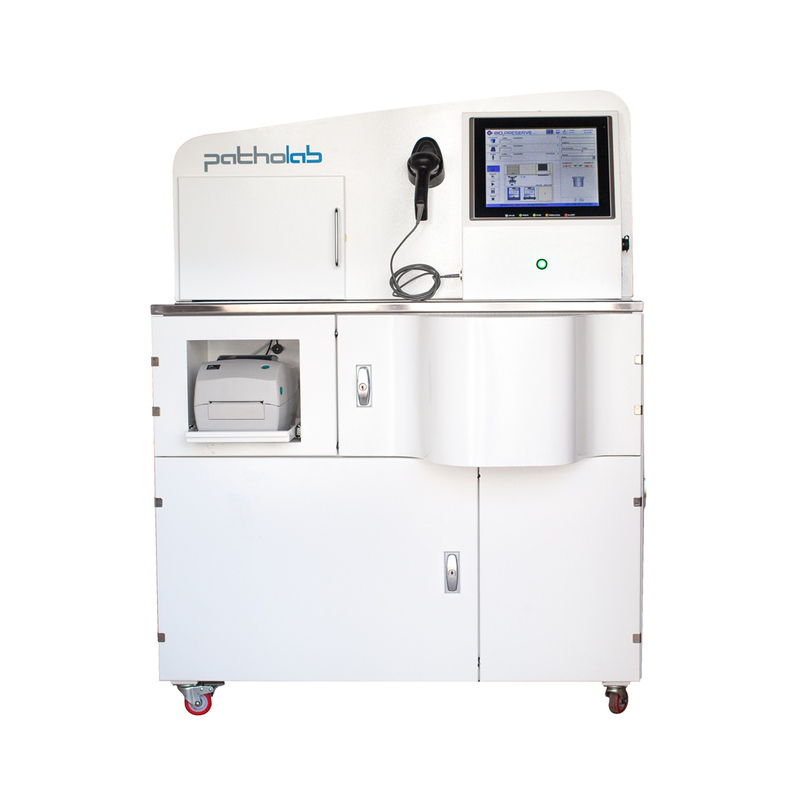 A robotic arm into the instrument weighs continuously the container containing tissue specimen checking the amount of dispensed formalin. 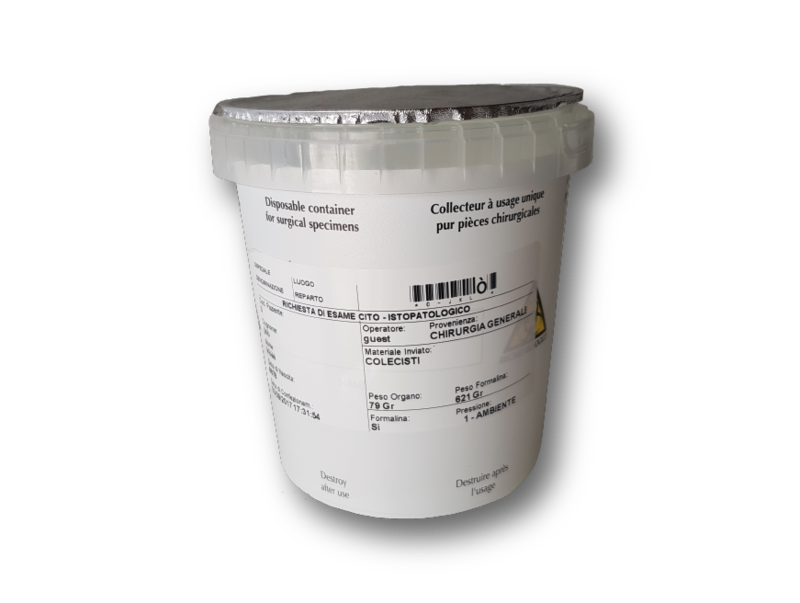 Container can be sealed with a special aluminium foil lid up to 4 times allowing the operator to reseal the container with the specimen for storage or completion of fixation. Biopreserve Plus is the most advanced model of the Biopreserve system. Features of this model are the same as those of the Biopreserve, with the addition of vacuum technology. Tissue specimen, packed in container, is preserved in formalin and/or vacuum.